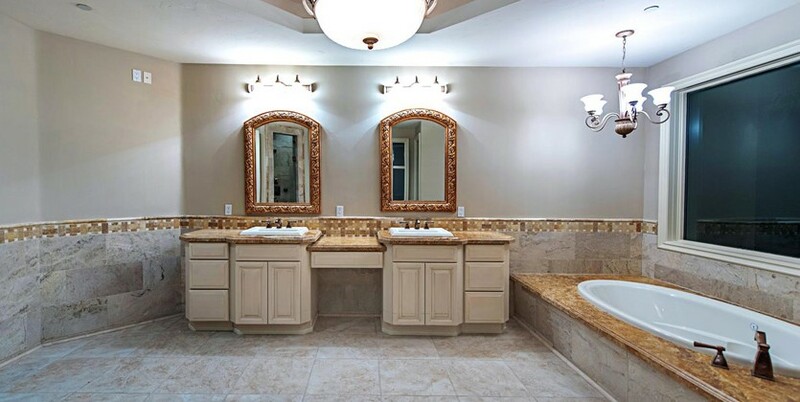 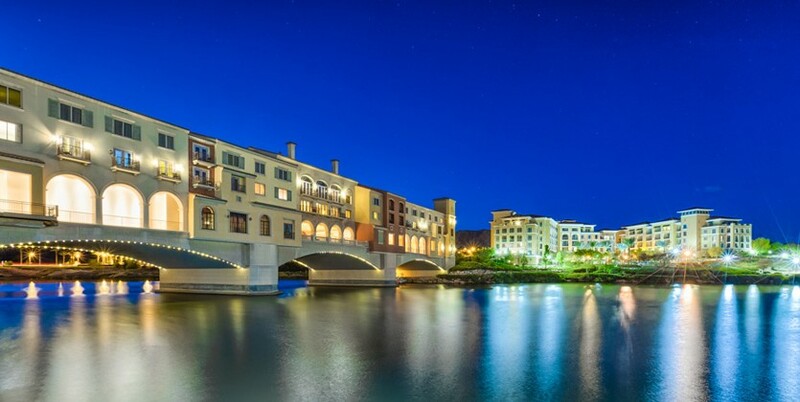 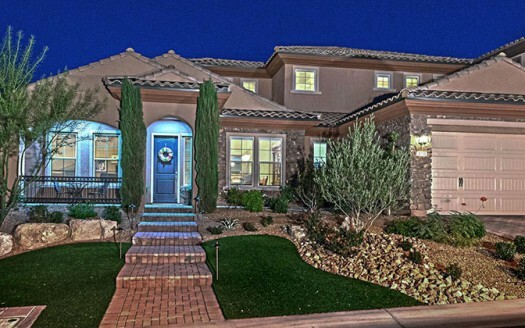 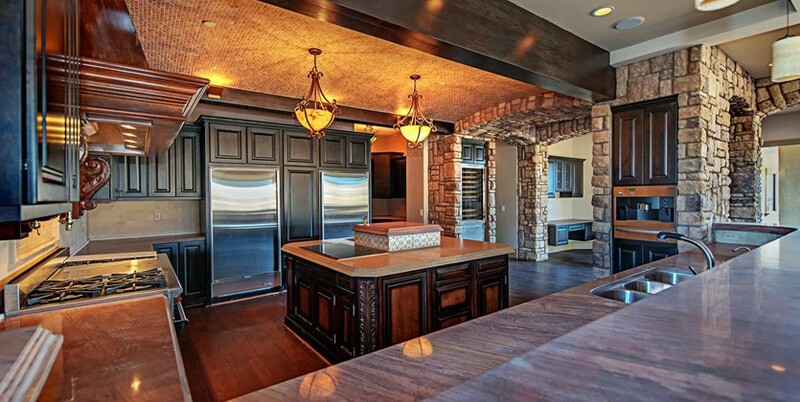 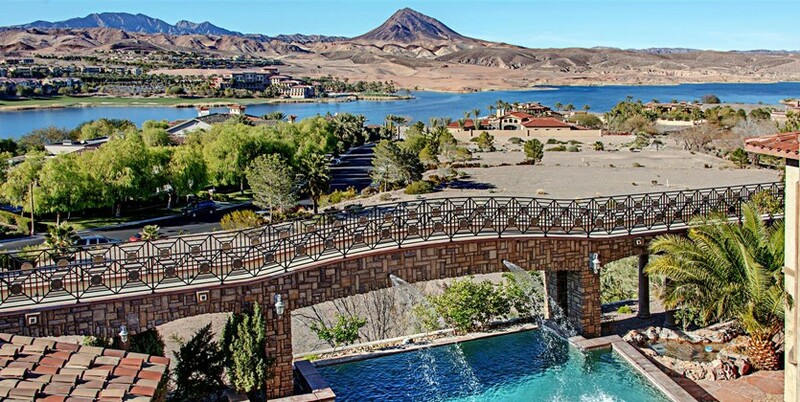 THE Luxury Estate in Lake Las Vegas! 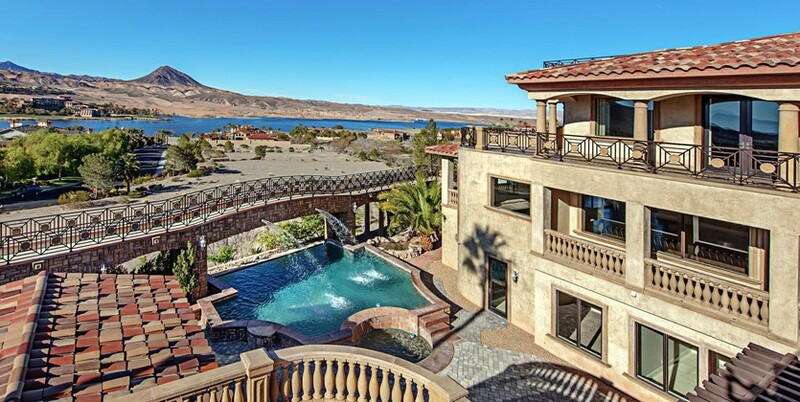 THE Luxury Estate in Lake Las Vegas! 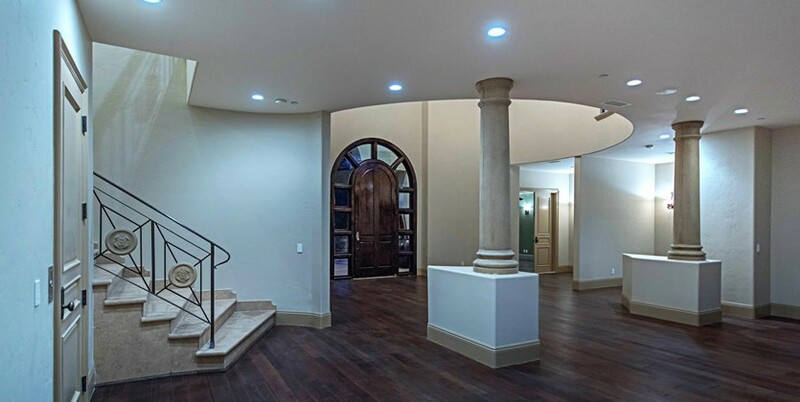 Mediterranean style resort with 4 levels of magnificence, 9 bedrooms, 15 bathrooms, coffered ceilings and over 18,000 square feet of luxurious living! 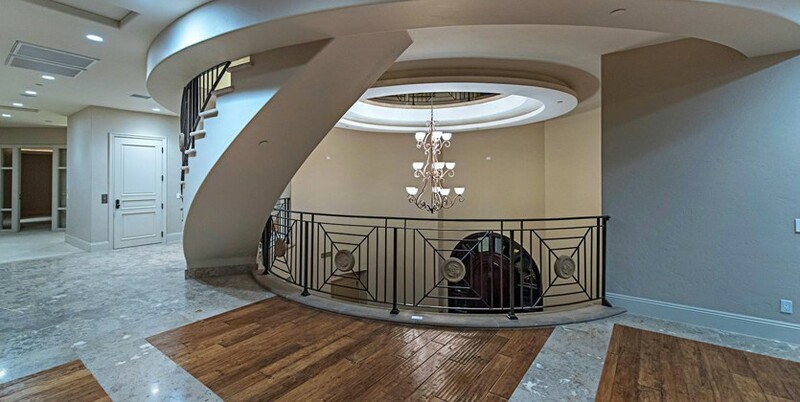 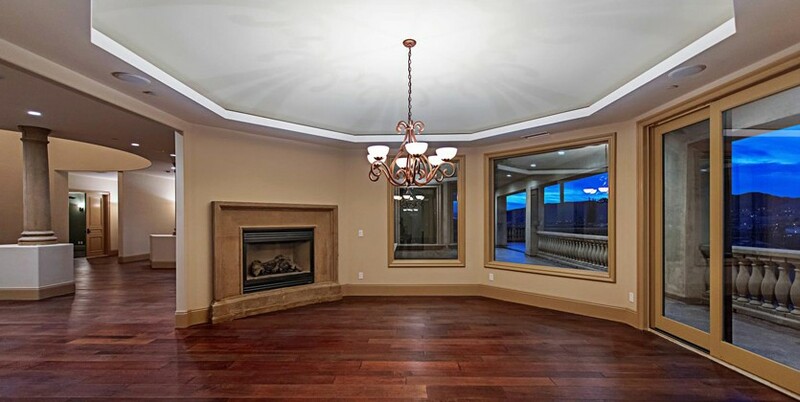 The interior of this luxury estate boasts a grand marble rotunda entry, 2 master suites with elegant spa like marble bathrooms, several offices, sensational pecan wood flooring, 2 elevators, 3 staircases, a 14 seat theater room, a library and a 25,000 bottle wine cellar with tasting room, a fireplace, flat screen tv and a secret door to an exclusive private cellar. 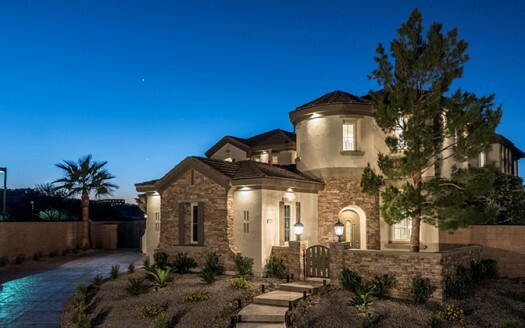 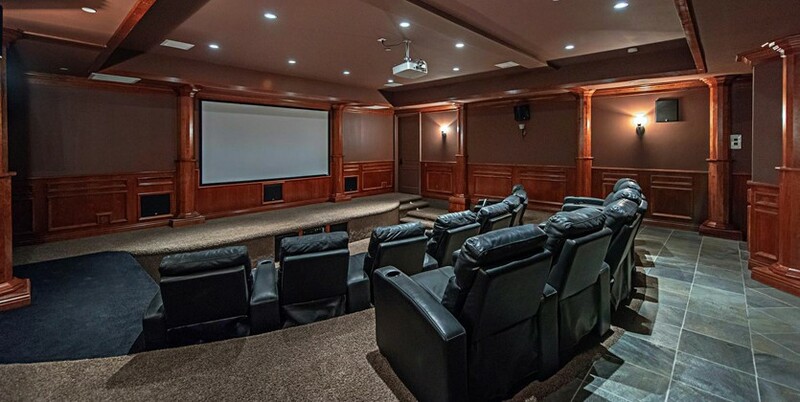 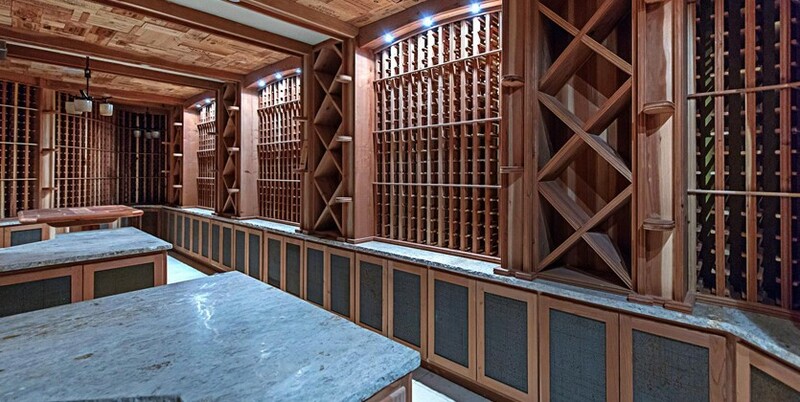 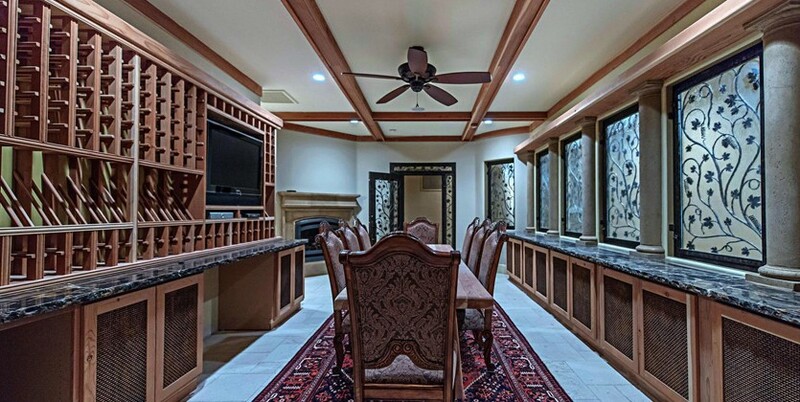 For added luxury, there’s an irresistible, highly upgraded gourmet kitchen, a huge family room with 3 flat screens, smooth coat stucco and custom stone and ironwork throughout. 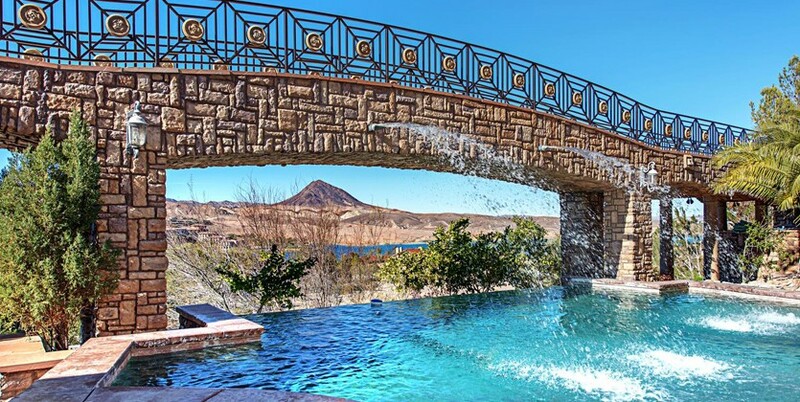 The impeccable manicured grounds are absolutely phenomenal and the backyard is ideal for entertaining with 2 swimming pools, 2 spas, a stream, spectacular water features, outdoor catwalk with incredible views, an outdoor kitchen with pizza oven, built-in BBQ, a fireplace and 2 casitas. 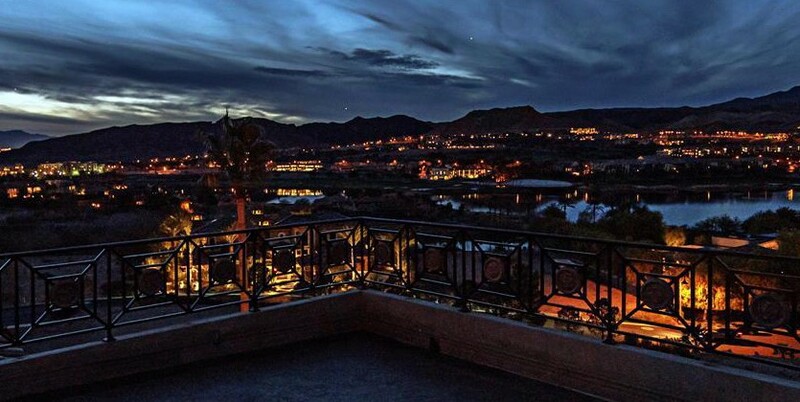 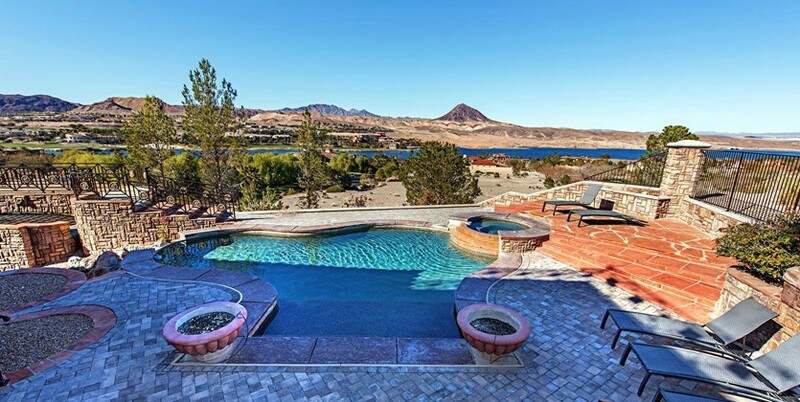 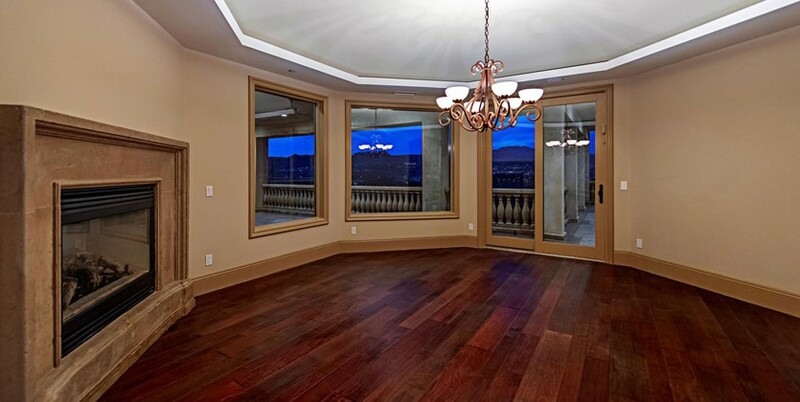 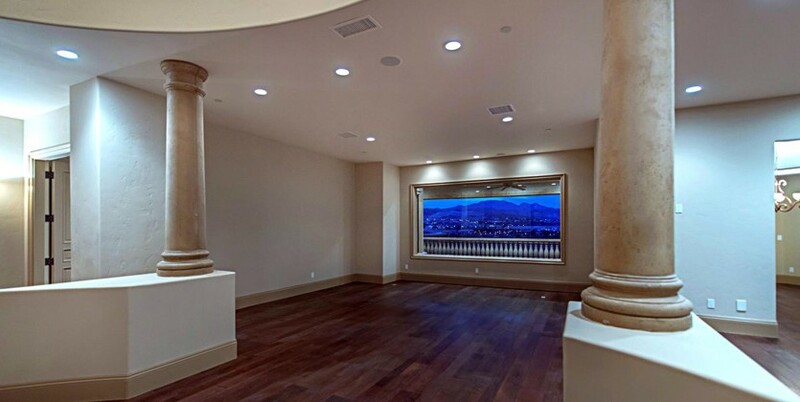 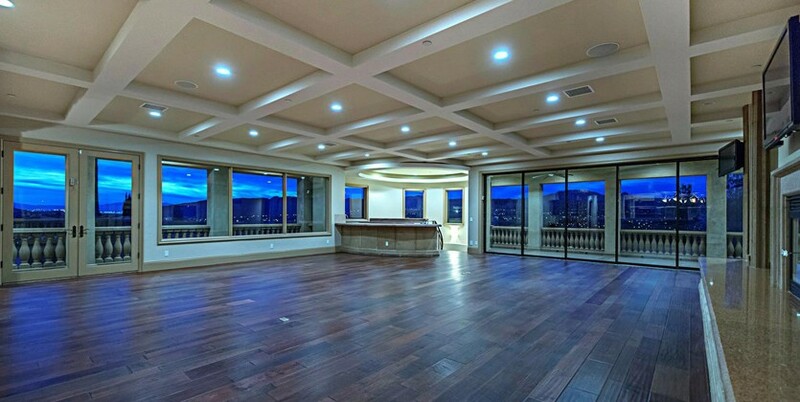 The top level of this incredible Lake Las Vegas luxury estate is an observation deck with commanding million dollar views of all of Lake Las Vegas!